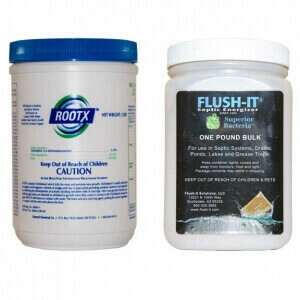 RootX® makes it easy to eliminate roots in residential septic tanks, sewer lines and storm pipes. 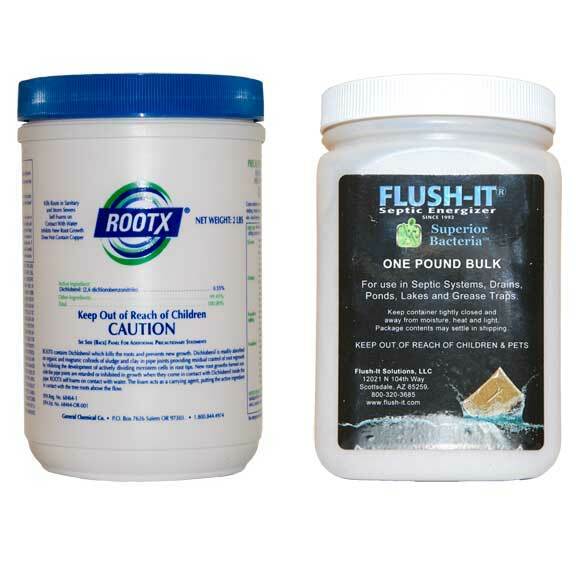 Root problems might just be the single most damaging element facing your home wastewater collection system. 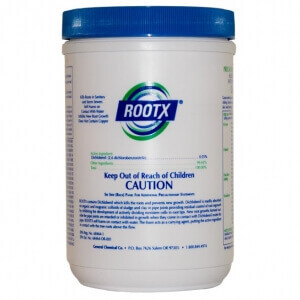 Without RootX®, roots will spread throughout the pipe. Waste materials get trapped in the roots, restricting the flow or even causing a complete blockage. These root problems can eventually destroy a sewer or septic system, costing thousands of dollars to repair or replace. 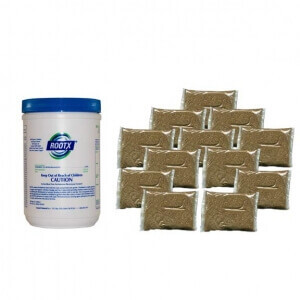 We recommend annual RootX® treatments to keep your system root free and avoid costly sewer and septic tank repairs. 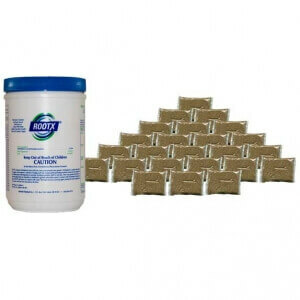 The patented RootX formula foams on contact with water to reach the top of the pipe where 90% of the roots are. 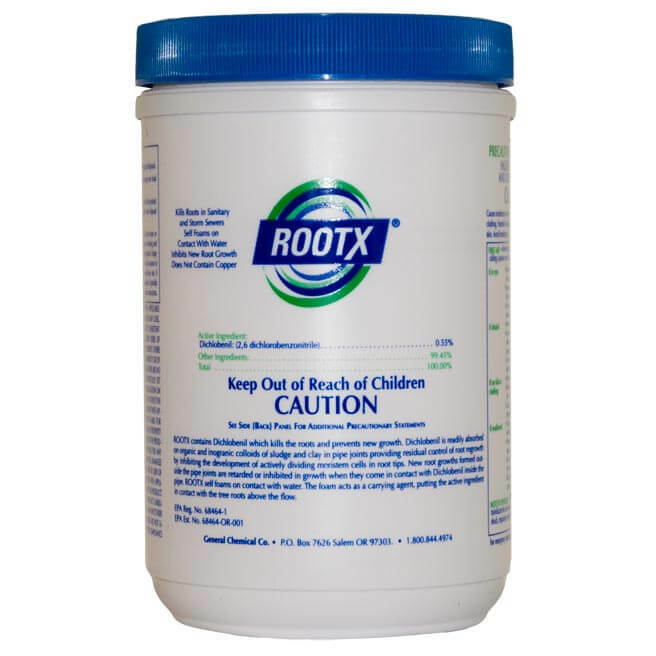 Degreasing agents strip away grime so the RootX® herbicide can penetrate the roots, killing them on contact. 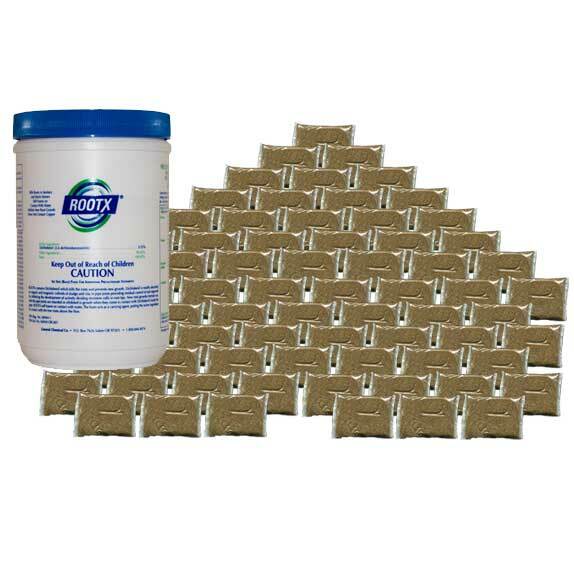 RootX® sticks to the pipe walls, preventing re-growth for up to three years. Dead roots decay over time, restoring pipes to their full capacity.